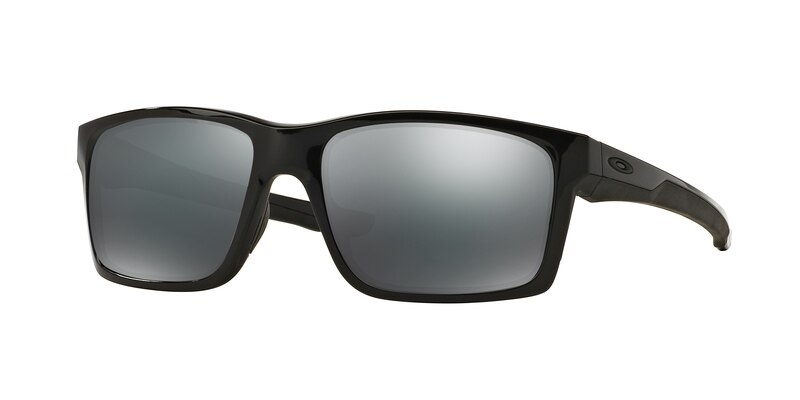 Introducing fashion, function, and a clean look with the new Oakley Mainlink sunglasses. Inspired by the ever-so-popular Crosslink, these new Oakley sunglasses exude all that Oakley stands for with the best technology a pair of sunglasses could be comprised of. The Oakley Mainlink blends impeccable design with flexibility that keeps up with active lifestyles and upholds sense of style. 1 | Unobtainium earsock and nosebombs: this Oakley technology works to provide a secure, anti-slip grip during all your activities. This Oakley technology is what ultimately makes these sunglasses a true active lifestyle frame because the more you sweat, the more they'll stay in place. 2 | O-Matter Frame Material: Oakley Mainlink sunglasses are comprised of this extremely lightweight and highly durable frame material, which provides all-day comfort. 3 | Three-Point-Fit System: allows the Oakley Mainlinks to rest comfortable on your nose and hug your skull rather than hooking behind your ears. This technology works to hold the lenses in place for the utmost precise optical alignment, which is an important performance-enhancing feature and exceptionally important in a pair of Oakley prescription Mainlink sunglasses. 4 | Integrated Hinges: this high-tech hinge system provides a great deal of strength without ever wearing out. 5 | 6 Base Frame Design: these sunglasses don't have a strong wrap, therefore making them a highly Rx-able frame. in other words, these Oakley sunglasses are highly Rx-able. If you have a need for prescription sunglasses that are sure to cater to your strong vision needs, sense of fashion, and active lifestyle, the Oakley Mainlink prescription sunglasses are the way to go. If you need help with the purchase of your Oakley Mainlink sunglasses, or have any questions about Oakley prescription sunglasses, feel free to contact us at SportRx, or shoot us a message on LiveChat! We're ready and excited to equip you with the most suitable prescription sunglasses for all your needs.